Assertive, authentic and touched with ferocity, the world of Roberto Botella is set to take British fashion by storm. Each design is presented in an array of hues to match your ensemble. 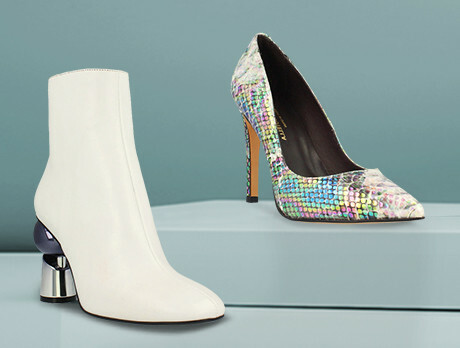 Uncover squared heels, firm buckles, elegant silhouettes. And for those who refuse to sink into the background, try the kaleidoscopic snake-effect lines.